Zombies Dawn of the Dead. Horrific crowds of probably quite dead people. Bloodied, tattered, dazed, wandering about up and down London’s Regent Street as some mysterious disease suddenly afflicts everybody? No its not that sort of horror neither is it an affliction that affects pigeons or other animals. 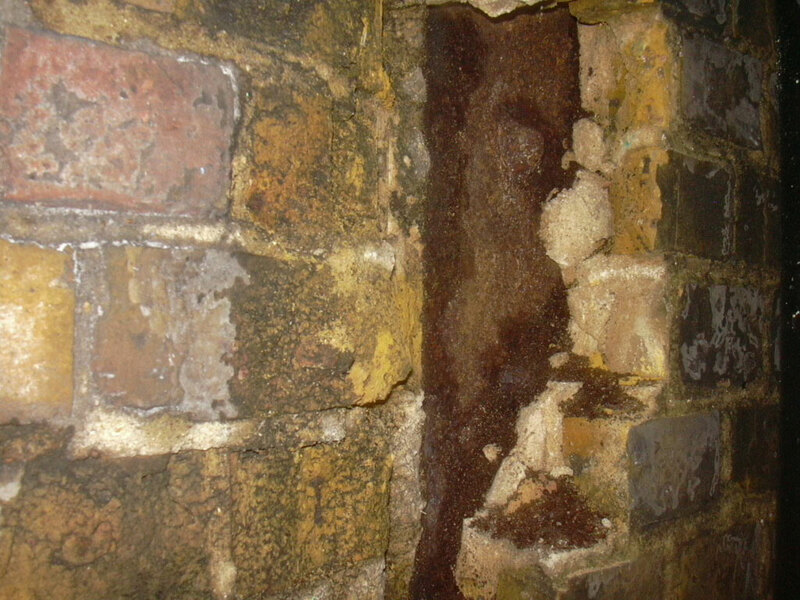 Regent Street disease is actually a structural defect found in many period buildings. The name arises because the first to be identified with this problem were of course in London’s Regent Street itself. Regent Street disease (RSD) is a structural defect and its quite widespread but its not very widely discussed. We all know there’s a similar thing that happens in steel reinforced concrete which is known colloquially as concrete cancer. The steel is impregnated with water that leaks from somewhere (ingress from rain perhaps) it then rusts and expands and in turn it breaks out the concrete, causing it to crack and fail. Its pretty much the same with RSD except its masonry and stonework that gets damaged instead. An example of Regent Street disease. Source: Croft Structural Engineers. One example is the BBC headquarters at the top of Regent Street. The refurbishment of the building and the delay in opening it as the BBC’s new Central London broadcasting headquarters was due in part to RSD. Cardiff and Manchester are UK cities with substantial instances of RSD. In Manchester they call it Deansgate disorder due to the proliferation of RSD buildings in this famous street. The BBC’s headquarters at the top of Regent Street is of the classic style of building that gets afflicted with RSD. RSD is where stone and masonry have been used to encase a steel frame, usually in buildings constructed between the 1920s and the 1950s, although there are a few earlier examples. The problem was not widely discovered until the early 1970s – despite a Department of Scientific and Industrial Research report of 1947 which had highlighted the issues. It seems it depends on the type of steel used and the initial treatment afforded during the building’s construction. Its only in the last twenty years that a system of cathodic protection has been devised for buildings afflicted with the problem. The first to benefit from such a system was in 1997. This was Gloucester Road station, opened in 1906. That tells us that these early Leslie Green structures are potential RSD victims although the extent of RSD, if any, is not known. In any event, Green’s tube stations were well built and the steel frames are quite properly protected. Thus any likely instances are a rarity because the glazed tiles offer excellent protection from water ingress. The soon to be demolished Leslie Green station at Euston. There’s a hairline crack that’s been filled in. Whether its due to RSD is unknown. Its rather difficult to find out which buildings have RSD, it seems not many property owners really want it to be known. However construction or stone specialist websites do detail instances of RSD in various UK buildings. A building constructed in a classical style during the art noveau and art deco periods is probably going to have it. Not only that they will almost invariably be those built in the light coloured Portland stone. This type of stone is somewhat porous and it can be a problem when used in steel framed buildings. Therefore in some respects making it public knowledge and making light of the fact it has had treatment does increase the building’s value because RSD is no longer seen as a liability, which helps enormously if the property in question gets sold at a future date. The fact that a building in Regent Street itself had RSD and was sold without the knowledge it existed caused a substantial court claim against the surveyors involved. The buyers, Amsprop, part of Sir Alan Sugar’s portfolio, sued the surveyors, Wilkes Head & Eve, for failing to notify of these instances of RSD. The surveyors had said there were no significant defects, when there in fact were substantial defects due to the presence of RSD – and these were discovered very soon after the purchase in question. According to online sources Lutyens’ building at 85 Fleet Street is one that had RSD however it has been subsequently treated. These steel framed buildings are nothing new, they have been around since the late 19th Century in the United States. One of the first ever in the UK was to be built with steel and masonry was in fact Tower Bridge. However it must be stressed a different type of steel and stone was used in its construction, and like a number of early buildings of this type it wont have RSD. The concept of steel framing itself is not new, the first ever building, the predecessor of New York’s skyscrapers and the many other steel framed buildings around the world happens to be one built almost 225 years ago! This is Ditherington Flax Mill which was constructed with an iron frame and encased by brick facing. It opened in 1796 and is acknowledged as the grandfather of skyscrapers. No doubt its location took excellent advantage of the area’s iron making capabilities which was responsible for the world’s first ever iron structure – the famous Ironbridge across the River Severn nearby had opened in 1781. The first modern buildings to be constructed with a steel frame were Gilbey’s Gin warehouse in Camden (1890.) The now demolished Westinghouse building in Manchester’s Trafford Park of 1900 is another very early example, followed by the Ritz Hotel (1904) and Selfridges (1911.) However all these early examples were too built using different steels and masonry or stone so RSD isnt necessarily a problem these structures face. As can be seen, it is generally somewhat later buildings that have RSD and they tend to be of a particular styling, which includes Portland stone. Those buildings at the bottom of Regent Street known as Quadrant one and consisting of three properties including the famous Cafe Royal Hotel, have according to a number of websites also been detailed as having RSD, but have received extensive treatment. Quadrant One at the bottom of Regent Street. Marylebone Town Hall’s annexe was another victim, the very recent, and substantial, refurbishment and redevelopment of the premises for its new role as the Sammy Ofer Centre also entailed a considerable amount of work to treat RSD. A further example is shown in the tweet below. Although they do not say where it is, at one time I used to work nearby and had the opportunity to visit this very splendid building in the days when there was almost no public access. I visited it this week in order to see its splendour once again. This splendid art deco example was built 1927-1933 by Henry Victor Ashley and Francis Winton Newman. It is of course open to the public nowadays and there’s an excellent museum and absolutely fascinating architecture. I checked the website and they confirm there is an issue with RSD. There are other websites too describing the treatment applied for this particular property. The Property People’s Network is too holding a talk on the subject of RSD at this famous venue in February, so one can safely say its one of London’s best known art deco buildings – the Grade II* listed Freemason’s Hall. The stupendous art deco staircase in the Grade II* Freemasons’ Hall. What about other cities elsewhere that have numerous steel framed buildings. New York perhaps? It is indeed full of steel framed buildings and skyscrapers including some of the early tall buildings such as the Empire State and the Chrysler, yet it seems barely any have RSD. It may be due to different construction techniques plus the fact Portland stone wouldn’t have been used in the US. A minor update: Since writing the main body of this post, I’ve discovered that buildings designed by Louis Sullivan in the USA generally in a terracotta facing style are also susceptible to RSD. In London one of its iconic terracotta buildings also has suffered from RSD and its the former Royal Waterloo Hospital for Children and Women built in the early 1900s. These were refurbished in 2015-16 and many damaged terracotta panels replaced. The building is now used as university residences. However Chicago is a different case because it has a considerable number of buildings with RSD. I do not know why this is. One such example, the Reliance Building of 1895, styled with terracotta, has received cathodic treatment to prevent any issues of RSD. 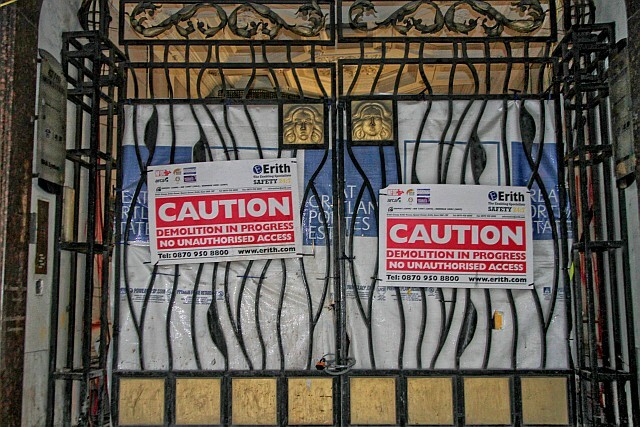 This shows yet again, some earlier buildings can too be affected – and its all down to different factors in construction. The now demolished 22 Hanover Square. One of the most iconic buildings in London that was afflicted with serious RSD was the Jones, Lang, Lasalle building at 22 Hanover Square. It was originally built as Celanese House in the 1920s by Stanley Gordon Jeeves, who too built other iconic London buildings including the National Radiator Company House and the Earls Court Exhibition Centre. 22 Hanover Square sported a very modern style for its time of construction. It was discovered to have RSD in the early 2000s and a programme of treatment was undertaken in 2008. The building was demolished in 2015-2017 for redevelopment. I do not think it was the RSD that had been a factor, rather it was the lease on the land had expired. The site at 22 Hanover Square is to become a new hotel and apartments. Previous Post: Completely clueless Crossrail! The problem goes way back before Regent Street – stone facades from the 1700’s – Christopher Wren included – suffer this, as they often included iron cramps stapling pieces of masonry to each other as well as more extensive tie bars.